Our profitability increased quarter by quarter, reaching 10.9% for the full year 2012. Supported by positive development in all three businesses, as well as the acquisition of Hamworthy, our net sales grew by 12% to EUR 4,725 million (4,209). Ship Power accounted for 28% and Power Plants for 32% of the total net sales. Services was the largest business area, representing 40% of the group net sales. Getting to this point has been a long journey, as the push towards the acquisition began way back in 2006. 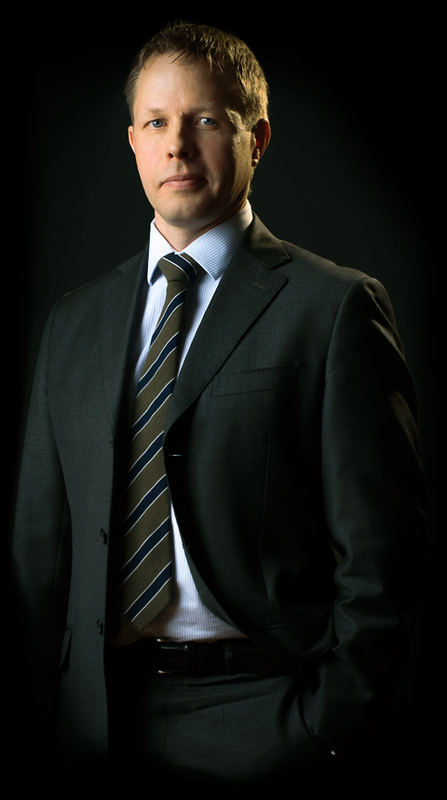 Koponen, Vice President, Flow and Gas Solutions, was convinced of the business logic even then, but various setbacks, not least the global economic situation in the closing years of the previous decade, forced him to bide his time. In early 2011, the acquisition returned to the agenda, and was ultimately ratified in early 2012. Wärtsilä's ownership bid valued the British company at around 456 million euros, and making the case for such a large investment was never going to be an easy job. "Like every company that has survived this long," Timo explains, "we have a history of acquisitions. Now, some of these have been successful, but some others haven't. Things can always go wrong, which makes management wary – and rightly so! The process involves a lot of politics; it means changing minds and making people believe." This was a particularly challenging investment in the sense that Hamworthy, as a publicly listed company, was of known value in the marketplace, and any such takeover bid in the UK is liable to a premium of 25-30%. Koponen is all too aware of this high price tag's consequences: "Our numbers, our belief in profitability and synergies needed to be high. We needed to be convinced that we could deliver more value when putting the two companies together. It's definitely more than just one plus the other: there has to be extra value." "When the deal became public knowledge, people were concerned. We needed to be convinced that Wärtsilä saw Hamworthy and its personnel as a long-term part of their operations. There are different ways a parent company can go, post-merger. 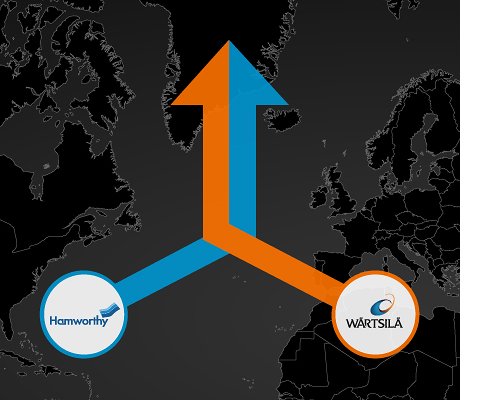 Many of us needed to know that Wärtsilä did not just acquire Hamworthy to absorb our products and shut down their most significant competitor in certain markets." What eventually provided a foundation for the ultimately positive spirit that prevailed on both sides was recognition of the business logic behind the acquisition. "Firstly, and most prominently," Jenssen explains, "both companies recognised environmental challenges in the marine industry as a key future growth area, encompassing emissions limitation, exhaust gas cleaning, and ballast water treatment. With the technology (as well as the industry demand for it) still relatively young, this is an ideal moment for consolidation to advance the topic and gain a firm foothold in the marketplace." Another motivating factor is Wärtsilä's strong belief that gas is the fuel of the future, not just for land-based power production, but also for the marine industry. "While this has been part of Wärtsilä's outlook for some time, certain portfolio elements have been lacking, such as depth handling of gas processes on board vessels. The addition of Hamworthy products completes this picture; along with the main engines, fuel handling and gas carrier technology are now visibly present in Wärtsilä product lines, with strong expertise in place to support them." The recognition of the business logic behind the acquisition provided a positive spirit that prevailed on both sides. 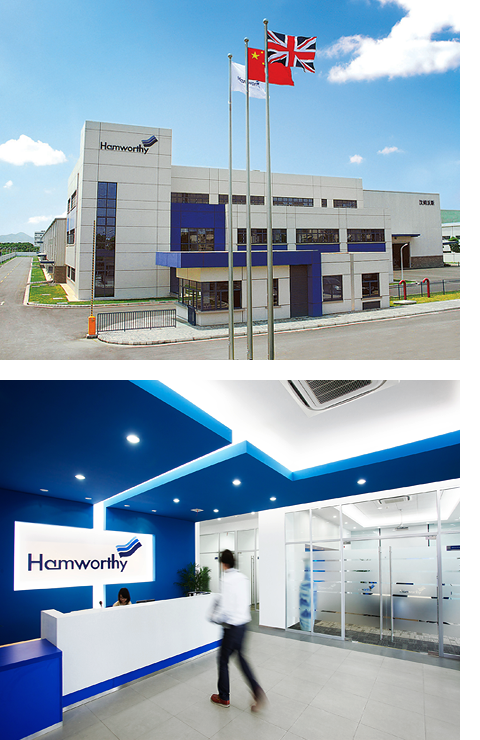 Hamworthy was founded in 1914 in Poole in the United Kingdom, which is the site of its head office to this day. 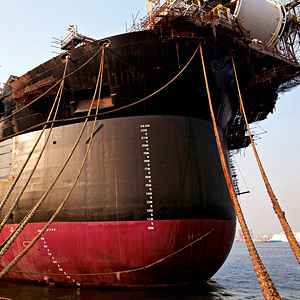 In addition, Hamworthy has been making advances towards the offshore industry, as they have correctly perceived that the merchant marine industry has been suffering from oversupply in the wake of crises in the world economy. Wärtsilä has been responding to the same trend, meaning that the two companies share many of the same customers and projects. 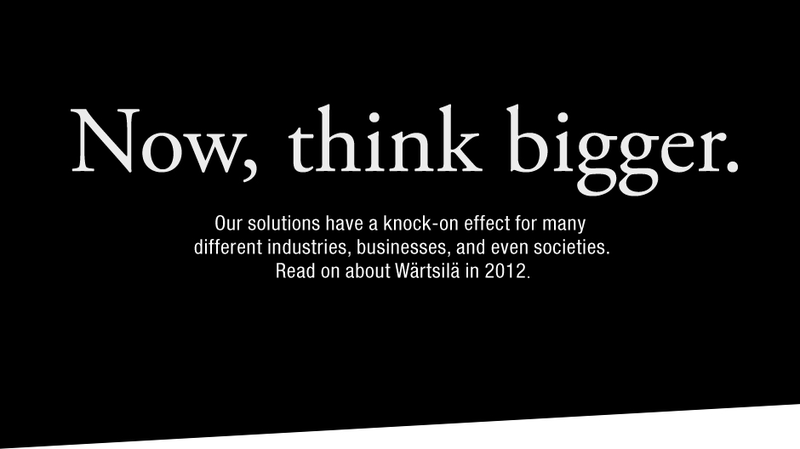 This clear synergy is strengthened when taking into account Wärtsilä's unique local presence: the industry's widest and strongest sales network in terms of manpower and geographical coverage. The opportunity to take advantage of vastly expanded distribution for the Hamworthy product and solution range was a strong point in favour of the deal for all parties concerned. Within a few months of the deal going through, even the most sceptical observer would have to concede that Wärtsilä was doing this for the right reasons. As a measure of how seriously Wärtsilä considered its new subsidiaries, Koponen insisted on moving home, family and office to Poole in the United Kingdom — where Hamworthy was founded in 1914, and the site of its head office to this day. Gradually, a wider understanding of the business logic behind the merger began to penetrate both organisations. Koponen found himself with a new challenge, however: "When the deal was finally completed, there was a huge amount of relief and elation. But that's tempered by knowing I am the major owner of the case. Bang – now you have it. It was time to start delivering." In the aftermath of any merger, few would doubt that one of the biggest challenges is that of forging a new, shared company culture with as much sensitivity as possible. The corporate history books are crowded with spectacular newsworthy failures such as AOL-Time Warner, where even the company chairman was forced to admit that the lack of a shared culture had created "species that were inherently at war." 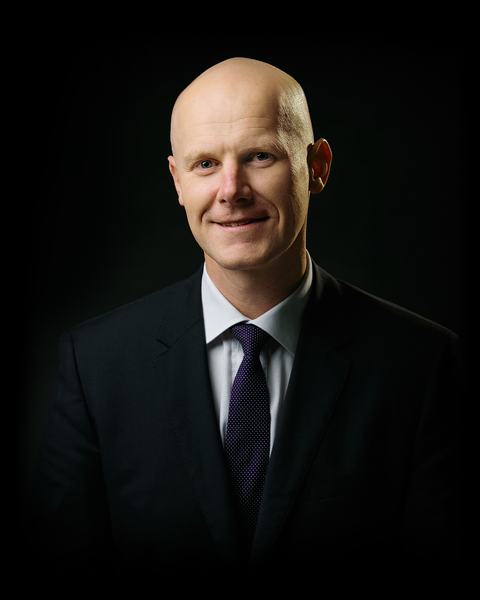 Koponen went about this task with his eyes and ears open, trying to find the right balance: “We are not trying to push a single Wärtsilä model. We need to have our finger on the pulse constantly. We have tens of areas in which we discuss cultural issues like this daily. This approach is clearly working, as positive results are already plainly visible. 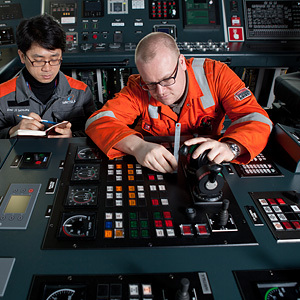 During 2012, Wärtsilä undertook an internal initiative to make sure its employees were fully aware of its Code of Conduct and its consequences for their work. This took the form of an e-learning module, translated into 11 languages, and despite having only partial access to Wärtsilä's systems at the time, former Hamworthy employees achieved a completion rate of almost 100% - higher than any other sector of the company. This clearly demonstrates that the new personnel are particularly keen to engage with Wärtsilä's culture and move forward to exploit the significant opportunities ahead. And Koponen is under no illusions as to where these lie: "In contrast to other mergers that sometimes take place, the focus here is not on cost cutting. There are more than enough opportunities! Where there is strategic potential, we will go there: environmental technologies, exhaust gas cleaning, gas as future fuel, offshore industries – there is no dispute in terms of direction." Our initiatives like Smart Power Generation are paving the way for a new sustainable energy future. By promoting LNG as a marine fuel, environmental solutions and efficient designs, we enable the next generation of sustainable vessels. Our service solutions also enable the application of the latest technologies in operational power plants and ships, thereby allowing them to comply with new legislative requirements. During 2012, a consortium headed by Wärtsilä was awarded a turnkey contract to build IPP3, a 573 MW tri-fuel power plant, in Jordan. In a year of big events with big consequences, it seems fitting that an innovative project setting several records should come to fruition: even the sell-in was groundbreaking in its own way. We took a look back at the reasons IPP3 represents a project to remember. The IPP3 project's defining quality is its scale. When completed, this facility will be the world's largest tri-fuel power plant capable of utilising natural gas and heavy fuel oil as its main fuels and light fuel oil as back up. The overall contract is valued at USD 552 million, of which Wärtsilä's share is USD 334 million. "Until 2015 or so, the plant will operate on heavy fuel oil," Wärtsilä Development & Financial Services' Stefan Nygård explains, "but the fuel flexibility of Wärtsilä's engine technology will allow a seamless transfer to natural gas operation once the supply infrastructure is in place. The plant is also capable of multiple daily quick starts and stops without any maintenance cost impact on the utility, a feature previously missing in the grid system, providing the customer with much needed operational flexibility. And when in operation, the technology used here ensures that the plant's use of water will be close to zero, which is fantastic from a sustainability perspective." 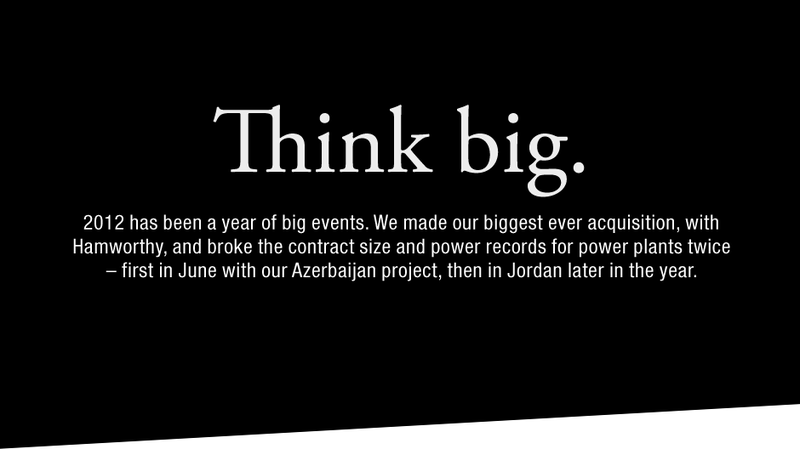 Azerbaijan's Boyuk Shor, with its output of 384 MW, broke records in July 2012 as Wärtsilä's largest single power plant order yet. The records were smashed once again in October when IPP3 was made public with a total capacity of 573 MW. At the heart of it, the fact that the IPP3 project even exists at all is the triumph of Wärtsilä's approach to active market development and consultative selling process. Against internal grumbles that Jordan represented a "typical combined cycle gas turbine market", Wärtsilä conducted a thorough grid study, which concluded that the country's use of conventional gas turbines was not giving them the flexibility they required in terms of fuel usage as well as management of the grid's daily load fluctuations. This is the heart of Wärtsilä Power Plants' strategy: to enter new markets and capture market share through active market development. This is a necessity in countries such as Jordan, as well as other countries that predominantly use large baseload plants with low operational flexibility. In many cases, utilities in these countries are often unaware of the benefits that Wärtsilä's solutions can bring to a grid system. A Wärtsilä combustion engine plant is not only highly efficient and cost effective compared to other technologies, but can also help improve performance of other existing baseload plants in a grid by absorbing variations in the load without sacrificing efficiency. Opening up the dialogue and creating awareness of the advantages on offer was pivotal to success in this case. "The solution is based on fuel flexibility, to counter the supply problems Jordan has faced in recent years," Upma Koul, from the Power Plants' sales team, points out. 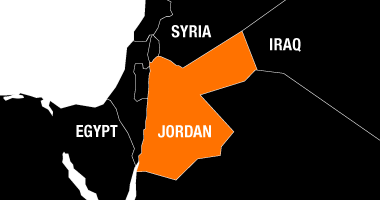 "Almost 100% dependent upon fuel from other countries, be that gas or oil, Jordan has encountered challenges such as supply interruptions. These occurrences had the effect of forcing Jordan to operate its power plants inefficiently and expensively on diesel in the interim periods." Freshly informed about the potential of flexible power, National Electric Power Co. of Jordan (NEPCO), the country's state utility company, did their own study of the various technologies on offer, which verified Wärtsilä's findings on fuel and operational flexibility and led them to release a request for proposals (RFP) – the first time that Jordan had ever issued a tender for a combustion-engine-based power plant. The next step was to seek a financing partnership with one of the qualified major players with a strong track record in the region. Korea Electric Power Corporation (KEPCO - the largest electric utility in South Korea) and Mitsubishi Corporation of Japan fit the bill perfectly, and through access to Korean and Japanese financiers were able to supply highly competitive financing. Despite intense competition, Wärtsilä and its partners successfully beat the competition and won the tender. From the signing of the power purchase agreement in September 2012 to the date of commissioning of phase 1 in January 2014 (with close to 250 MW capacity) this project represents an incredibly fast operational set-up. This is owing to the close, efficient collaboration involved. "The partnership has had dramatic and remarkable results" enthuses Mr Young Jin Bae, General Manager of KEPCO. "We have cooperated on environmental, fuel, and construction schedule issues, and with success in each sector. I believe that this experience will secure further prosperous cooperation in the future. As NEPCO's project advisor told the utility's managing director: 'Nobody other than this consortium could commence the work like this!'" Under the 25-year power purchase agreement, the newly-formed special purpose independent power producer Amman Asia Electric Power will supply electricity to NEPCO. Wärtsilä has a minority interest in this new company; the other owners are KEPCO and Mitsubishi. A Wärtsilä-led consortium, consisting of Wärtsilä and Lotte Engineering & Construction of South Korea, was then contracted to supply the 573 MW plant. The total value of the EPC (Engineering, Procurement, Construction) contract is USD 552 million, of which Wärtsilä's share is USD 334 million. Wärtsilä has also been contracted to service the finished plant, and a 15-year Parts Supply Agreement has been signed, as well as a 5-year Technical Service Agreement. Not only did the IPP3 project break records in terms of plant and contract size, it also represents a performance peak in terms of swift, productive cooperation with policy makers on environmental regulation. All prime mover technologies used in the power industry have their own distinct properties, meaning that modern, progressive, international emissions rulings are based on a technique-specific approach, i.e. 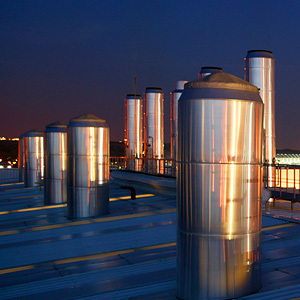 individual emissions limits for boiler, gas turbine and stationary-engine-based plants. In Jordan, the country's environmental regulation was based on technology in use up to that point, primarily combined cycle gas turbine plants and boiler-based plants, and therefore required modernisation to become technology specific. Informing NEPCO in advance of the RFP that Jordan's current environmental regulation was not yet in line with current international trends eased this process significantly. International Finance Corporation EHS (Environmental Health and Safety) Guidelines contain technique-specific emission limits for different prime movers built on good international industry practice. A comprehensive environmental impact assessment study was commenced as soon as the consortium was announced as the first-rank bidder in January 2012, and subsequent meetings with Jordan's Ministry of Environment paved the way for implementation of the latest International Finance Corporation EHS Guidelines for Thermal Power Plants in Jordan, which took place in September. This process also gave Wärtsilä the opportunity to assure the ministry, upon their enquiry, that the plant, comparatively speaking, would help to significantly reduce carbon emissions and thereby mitigate climate change. This was founded on a comparison of efficiency with the grid's existing thermal steam plants, which are far less efficient even when the new plant is operating on heavy fuel oil. It was estimated that IPP3 would typically produce around 35% less CO2 emissions per kWh compared to an existing oil-fired steam plant. In an industry in which regulatory change of any kind can be a drawn-out process stopping projects in their tracks, to have a policy updated with this level of promptness and attention was further evidence of both Jordan's willingness to embrace the new tri-fuel technology and the efficacy of the consortium. We have 160 locations in over 70 countries globally. We offer our customers access to the highest quality of services through our broad global network – the world's largest within our industry. Wärtsilä's position as a global company is reflected in the geographical breakdown of our net sales. We follow market demand to ensure flexible global capacity close to our customers. Our strong focus on R&D allows us to stay at the forefront of technology and innovation in our industry. Jeroen Oving (Field Services Superintendent, Propulsion Services, Delivery Management, based in Drunen, Netherlands) and Ji-Woong Kook (Field Services Superintendent, Services Unit East Asia, based in Korea) were both part of the team that recently completed commissioning and sea trial of the propulsion systems of the ambitious new vessel, the Dockwise Vanguard, built by Hyundai Heavy Industries in South Korea. As the most innovative semi-submersible heavy-lift vessel ever built, the Dockwise Vanguard was built to redefine the limits of exceptional heavy marine transport. This game-changing vessel has been specifically built to provide oil and gas majors and EPIC contractors with design and transport opportunities for mega offshore units, which were until now considered unthinkable. Jeroen Oving: Well, this is a one-of-a-kind project. Dockwise had ordered a semi-submersible heavy-lift vessel: the largest in the world, equipped with five Wärtsilä propulsion units. First of all, there are two main propulsions for normal sailing, which each consist of a controllable pitch propeller (CPP), reduction gear, and electric motor propulsion. Then, in front of the vessel, we have two retractable thrusters, also equipped with CPP. These propellers are pulled into the vessel when not in use, but when deployed they are under the vessel and can create thrust in any direction. Finally there is a tunnel thruster for mooring and positioning. Ji-Woong Kook: This 275-by-70m vessel requires submersion of 31.5m for cargo loading. Accordingly, we supplied optimised propellers, special seals, and high performance gearboxes with double input shafts and a single output shaft, enabling the crew to operate the main propulsion drive train to the optimum level. Finally, in order to minimise wiring and maximise communication between all the equipment on board, special communication systems were installed. JO: On the Dockwise Vanguard, the main propulsion uses CPPs driven by electric motors with a fixed speed. More commonly, vessels use frequency-drive electric motors, which run at variable speeds. In this case, all electrical motors are running at a fixed speed according to the owner's explicit specification. In order to cope with that, all the equipment has been equipped with CPPs. Even though the propulsion system is running at a fixed speed, by changing the angle of the blade, you can define the amount of thrust, from minimum to maximum thrust in both directions: ahead and to astern.  This combination of CPP with a fixed-speed e-motor is the defining technology of this case, I would say. JO: The schedule represented the biggest challenge in this project. It was tight to begin with: three weeks for commissioning is very challenging indeed, actually. But preparation work in the yard took longer than predicted and eventually we were left with only two. Nevertheless, we made our deadline and the sea trial started on schedule on 4 January 2013. I attribute this completely to the strong cooperation between the Dutch and Korean engineers working on these systems. J-WK: I have to also point out that many other colleagues contributed to the success and eventual timeliness of this project. A number of Wärtsilä field services engineers, for example, installed the CPPs and thrusters prior to commissioning. The retractable thrusters mounting team in particular were under a lot of pressure to keep the vessel on time: they worked 24 hours a day (in two 12-hour shifts) for almost a month and a half to finalise this complicated and time-consuming work before the launch date.  Three major typhoons – including Sanba, the biggest of the year worldwide – hit the area during this period. But even these conditions couldn't stop the work; it had to be completed on time. These field services engineers showed real commitment to satisfying the customer against all odds, so I want to emphasise that there were many "hidden heroes" at work on Dockwise Vanguard. In the end, the success was down to our global Field Services organisation. J-WK: Typical propulsion equipment can be seen as a mechanism driven by a hydraulic system, which is under electrical control. Needless to say, the hydraulic system should fit into the mechanism to operate the propeller blades effectively, and the electrical control must be well balanced with the hydraulic system. They work as one integrated system, so it is essential that propulsion engineers understand all these aspects. Naturally, we have been trained to cover each area with a high degree of expertise. During the general commissioning, there is often more electrical work, but it is still very important to understand the entire integrated system to do the job correctly. JO: It's true: we don't focus just on the electrical side, or the mechanical side, or the hydraulic side. This requires a very special skill set, in a way, because working on electrical tasks is different to working on something mechanical. And hydraulic, again, is something else entirely. The field services engineers on my team can deal with all three – as well as software. In the end, the whole system is controlled by software. When there is a problem, we can check it to find the source of the problem and communicate with the office to request an updated version. Same with electrical drawings – these can have mistakes, so you check them, you find any errors, and you fix them. We need to be flexible and multi-skilled: it's that simple. J-WK: When a project involved a traditional propulsion system, we would usually work alone, because it wasn't necessary to have two experts working on a single system. But nowadays we have more offshore projects, larger vessels which often feature multiple propulsion systems. This gives us the opportunity to work with other colleagues, as was the case with the Dockwise Vanguard project. Working with colleagues from overseas with different backgrounds and experience, it's impossible to have exactly the same attitude about everything. The culture in Asia is slightly different to that of Europe, for example, so it's perfectly natural to have different concerns and opinions. But that difference doesn't mean that someone is wrong. It's just variety, and the more you learn from it, the more you can improve. JO: People often talk about international collaboration in terms of the negatives. Just consider the vocabulary: "cultural differences", "language barriers", and so on. But actually, having different nationalities on board for a project has a lot of advantages. For one thing it can eliminate language issues. If you're on a very limited time frame, as we were here, communication has to run smoothly. So the Korean field services engineers handle the interface with the shipyard staff working on the ship, making sure everything is clearly understood in Korean just in case the local guys aren't the best English speakers. Then when it comes to dealing with the shipyard, at times there is negotiation and diplomacy required that a Korean person might find uncomfortable entering into with his fellow countrymen. At times you might have to say things the shipyard doesn't necessarily want to hear – for the overall good of the project, I should add! This is where I come in as a foreigner: I'm able to get to the heart of the matter quickly and just say what needs to be said without any cultural or hierarchical consequences. That's how it worked on this project. I took care of communication with the shipyard management and Mr Kook handled the teams on the floor. JO: I started my career as a design engineer – working in the office on 3D plans, and solving design-related problems. I did this for three and a half years before deciding it simply was not my thing. I needed something more "hands on", out in the field. I've been a propulsion field services engineer for almost five years now and I still find it satisfying. I'm able to travel around and experience a bit of geographical freedom: I've worked mostly in Asia but have also been across Europe and the Middle East. Asia appeals to me a lot, though – I basically live here. There is a different way of doing things here and a different way of thinking about things generally, which I like. Also I love the food! J-WK: For me, the continual challenges make this job interesting, and that's why I like being a field services engineer. Any propulsion project represents a different combination of mechanism, variable hydraulic system, and customised controls according to the customer's requirement. We have to take into account variations in the ship's shape, the thrust power demands, the manoeuvrability needs, amongst other factors. So the work is always changing and there is always something to learn. You have no time to be bored as a propulsion field services engineer. The highlight for me personally is when the customer signs my timesheet at the end of a job. If I receive a compliment from the customer – "You did a good job... Thank you... We'd like to work with you again" – it's a pleasant ending to the assignment. Then, of course, when I return home and my family are happy to see me, welcoming back their husband and father, and looking forward to their gifts from the airport!